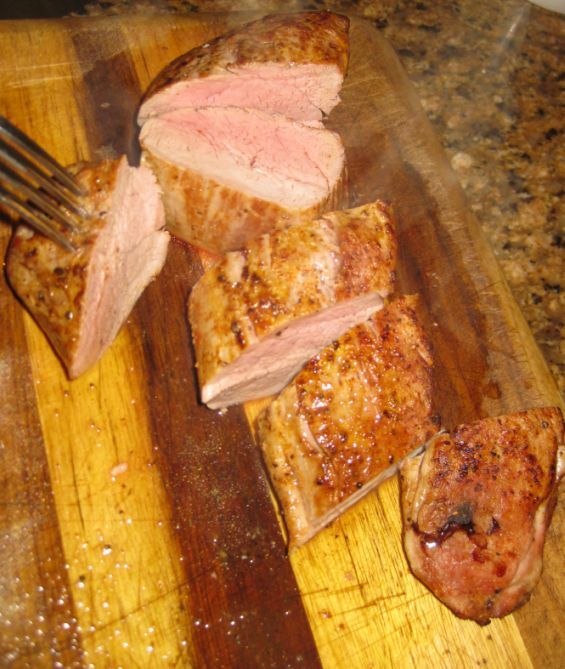 Pork tenderloin is like the filet mignon of the pig! 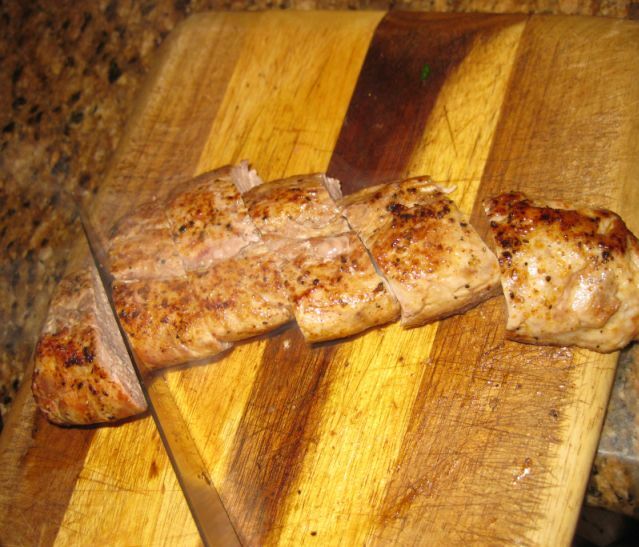 It is tender and very lean. 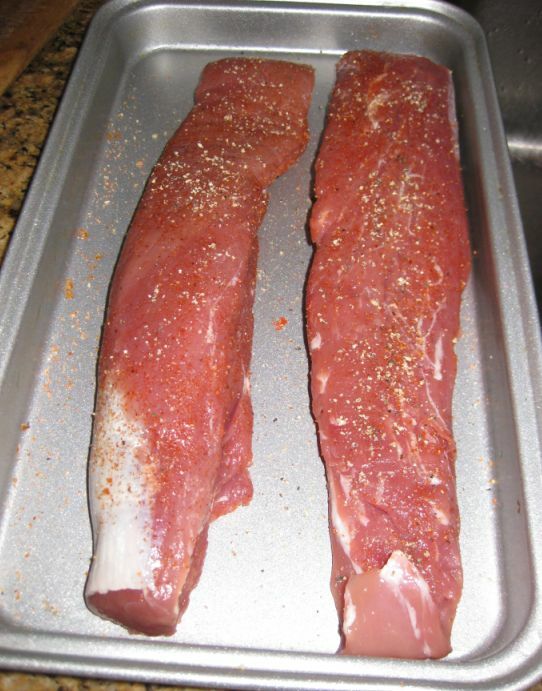 Make sure not to overcook them and you will get an excellent piece of meat. 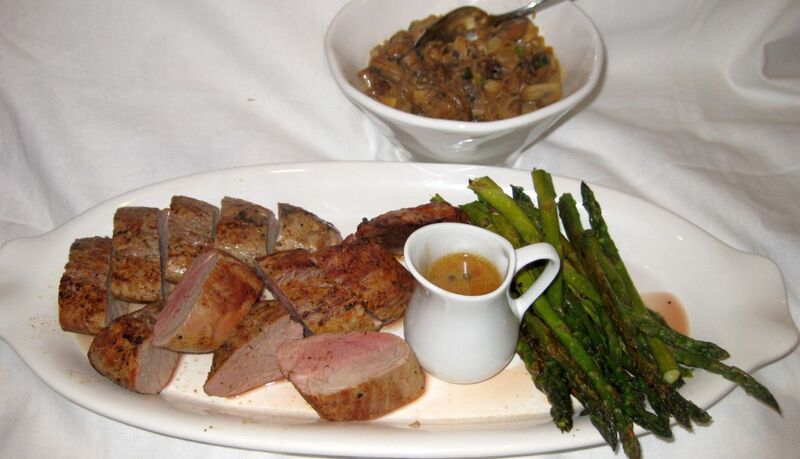 I served the roasted tenderloin with roasted asparagus, mushrooms in cream and a green peppercorn sauce. 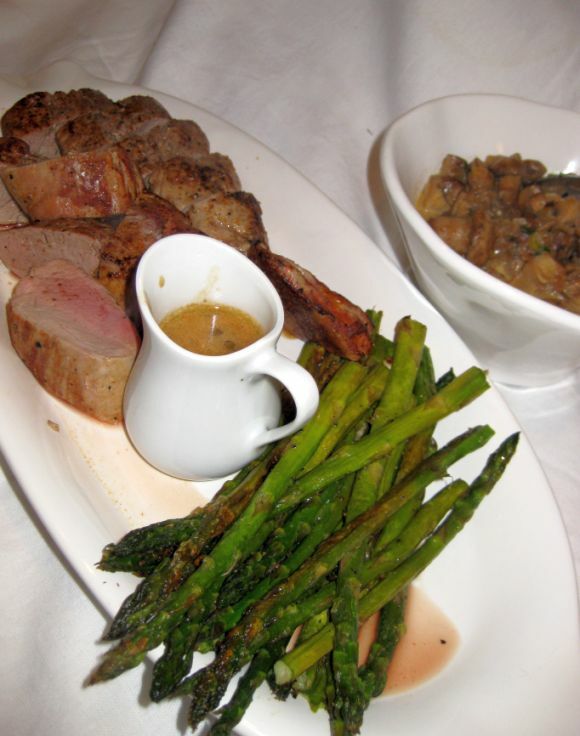 This meal looks fancy but it is actually pretty easy to make and there is barely any preparation work. 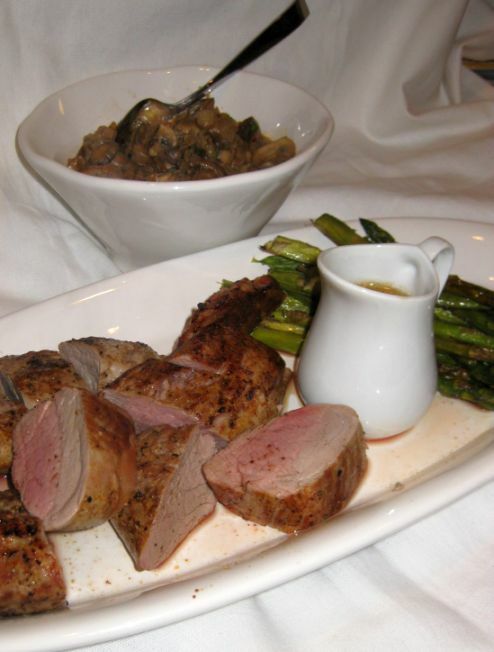 You can make this meal in about 30 minutes! 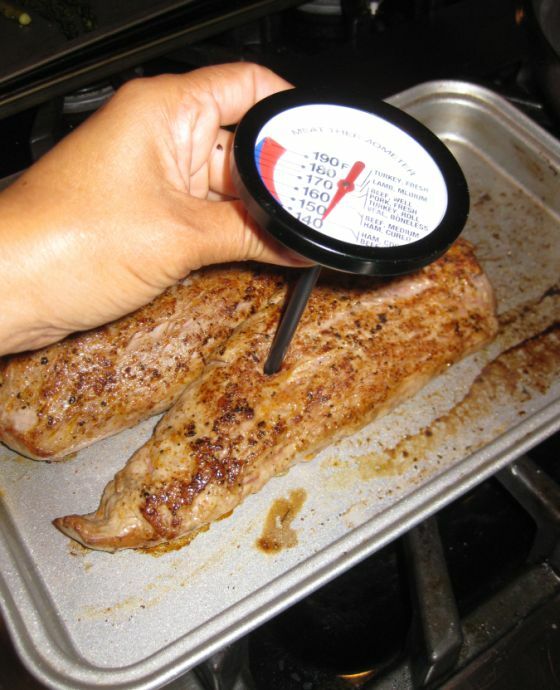 I cooked the tenderloin to perfection so the meat was moist and so tender. I also enjoyed it with the green peppercorn sauce. Close look at the dish! 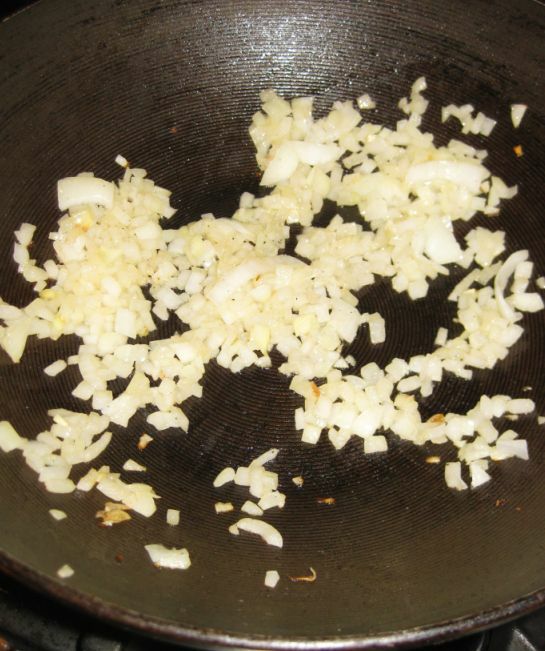 In an oiled pan stir in the onion. Keep stirring until the onion are brown. 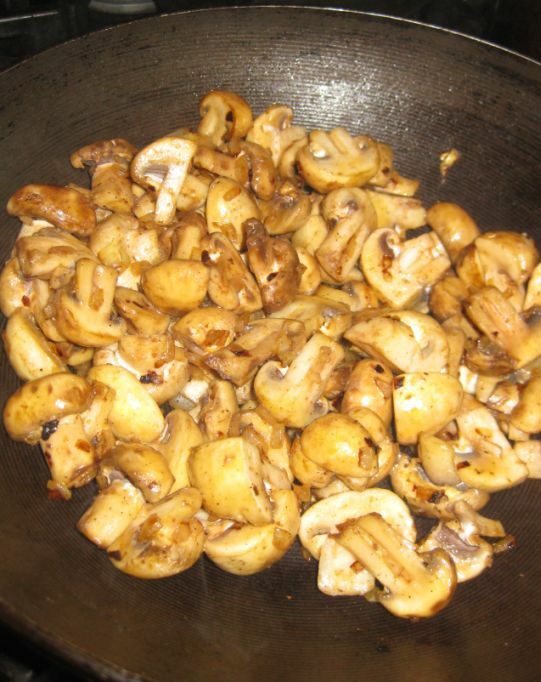 Add the mushrooms and cook for a few minutes until they are releasing their juices. 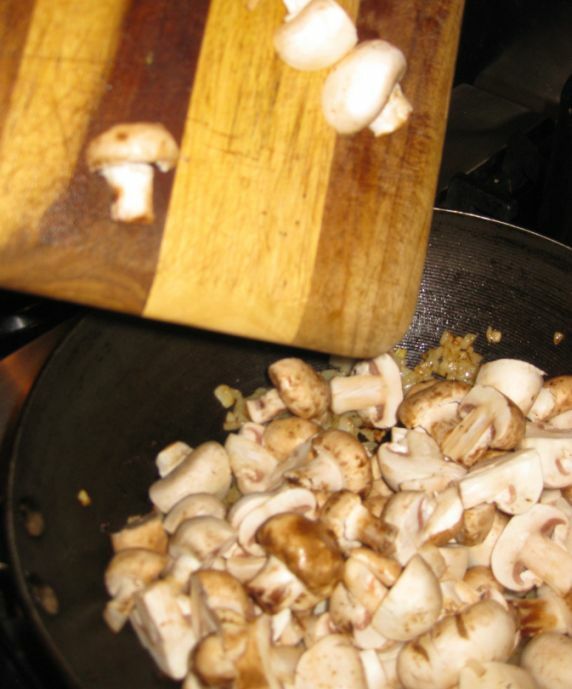 Keep cooking until the mushroom are brown. 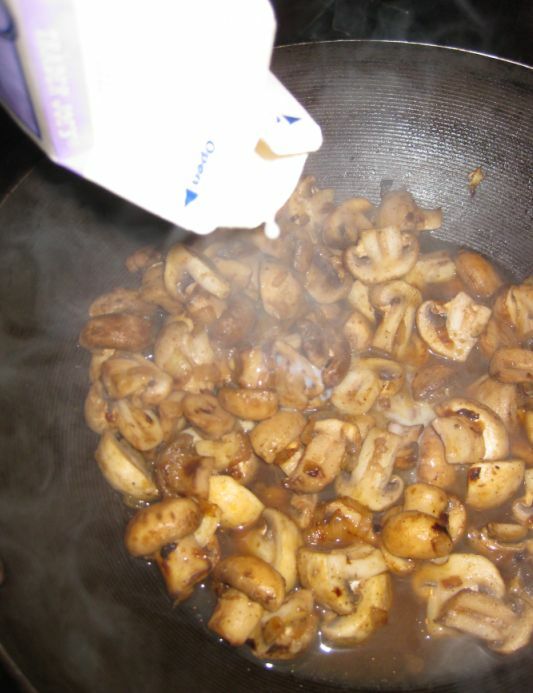 Add the cream and set the mushrooms aside. 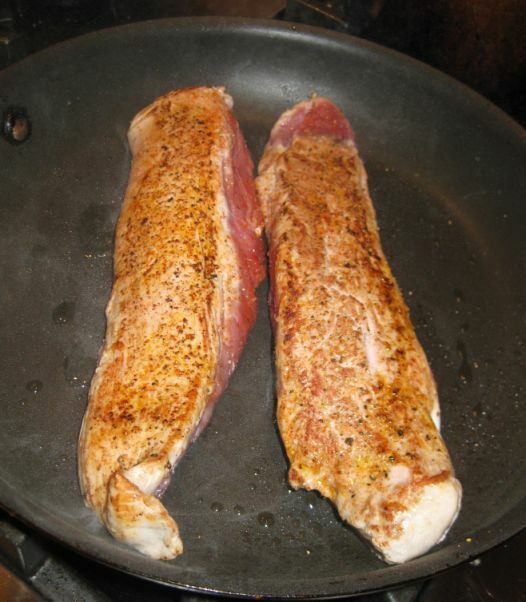 Salt and pepper your tenderloin. Preheat the oven at 400Degrees. 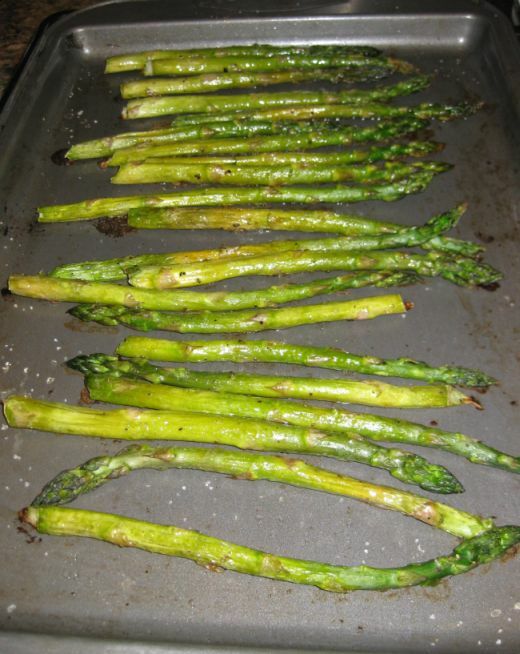 Coat the pan with a little olive oil and get it almost smoking. Add the pork to the pan. Sear on all sides until nicely brown and caramelized. 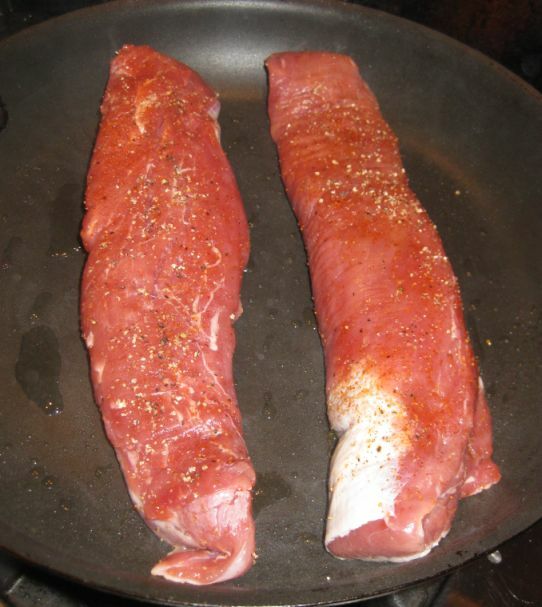 Transfer the tenderloin in pan and insert the pan in the oven for about 12 to 15 minutes. 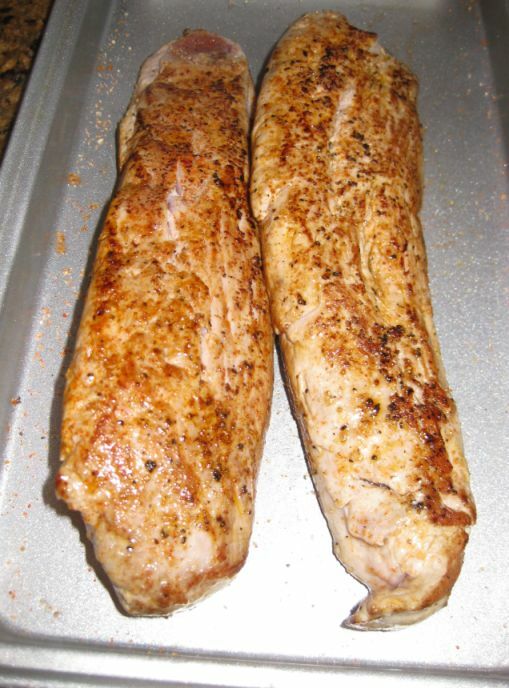 Let the tenderloin rest for a few minutes and cut them into large portion. The tenderloin are perfectly cooked. You want the inside to be a bit pink and juicy.